Vancouver guitarist – multi-instrumentalist Derek Mason lived and breathed music. 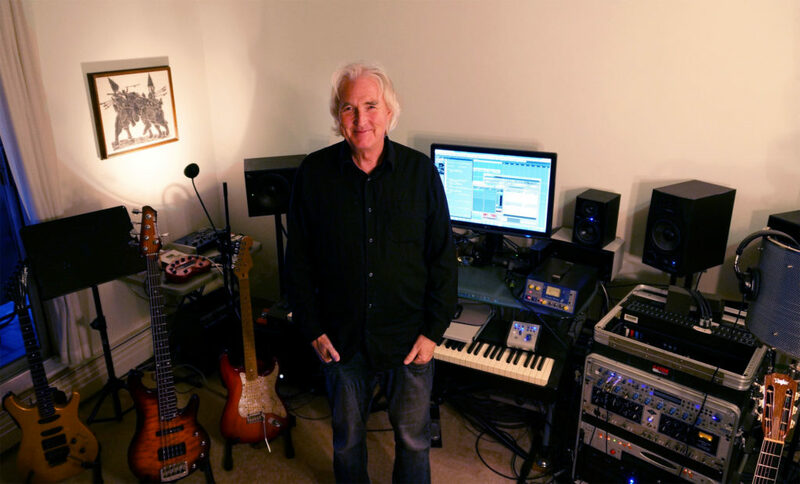 This website is maintained by his estate to share some of the highlights of Derek’s work as a music producer, composer and arranger. We start here with a short feature from his many original compositions, spanning different genres. Browse this site fully to listen to several playlists of Derek’s productions for emerging artists, as well as his Jazz, blues, progressive rock and Dramatic compositions. Visit the blog to learn more about the music legacy of Derek J. Mason. Derek Mason first became renowned as progressive rock guitarist, and then earned recognition as an accomplished musician in many genres. His music career spanned the mid 1980’s through to December 2014. Derek started performing in Vancouver and throughout BC with the prog-rock band First Aid, and subsequently recorded and produced with them and with other bands. In his last twelve years, Derek evolved into a creative music producer of his own original works and of emerging Canadian singer-songwriters. He also played solo nylon string classical-jazz guitar on international cruise ship lines. Through hard times, perseverance and dedication, he became a world class multi-genre musician. Derek Mason’s natural gifts for improvisation and edgy artistry were notable in his live performances and are apparent in his music productions, some of them which we share here. Derek J.F. Mason passed away in February 2015, and is is deeply missed by his wife, Anthea, and all his family, friends and music associates. We will always feel Derek’s personal and musical presence, and affirm he is alive an with us in spirit. ** For the song production playlists, scroll down on your mobile device or find the sidebar on a computer or large tablet. The main playlist on this page is focused on vocal artists backed up with Derek’s instrumental artistry. Find more playlists via the menu links. Latest media posts are on our Blog. Scroll to bottom of this homepage to find the rest of Derek’s short bio, and find more information about Derek J. Mason and his music, visit the Biography page. In the 1980’s and 1990’s, Derek Mason was known within his closer music circles for his Progressive Rock guitar. He was a member of the prog-rock group, First Aid, from 1986 through 1991. From 2003 to 2005, he played solo nylon string classical-jazz guitar for the international cruise ship industry, and then set to work building his music production business. For the last twelve years of his career, Derek applied his gifts intensively and passionately as a music producer, composer and arranger, producing independent artists while continuing to expand his personal musical expression through original instrumental compositions. Reaching far beyond rock, Derek Mason was remarkably skilled in several genres of guitar — New Flamenco, Jazz, Blues, R&B and Roots — on nylon string, electric and acoustic instruments. He was also remarkably good on live 5-string bass, turning out some deep groove. 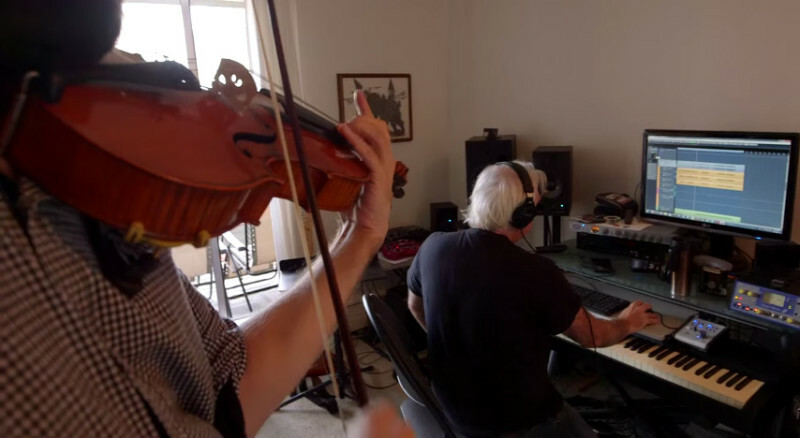 In the last decade of his career, Derek made a fairly deep dive into virtual orchestration and used his remarkably intuitive gifts in a variety musical arrangements, some of which you can listen to here for free on this official website. He worked with meticulous detail at drum programming when it was needed in productions. Derek was known for having a great ear and was often called a ”wizard” or a “genius”, because of his ability to roll off improvisational lines with grace and beauty within the particular genre, whenever the music called for it. One recording client called him the “Octopus” – because he could play so many instruments, and so well. His overall instrumental brilliance is abundantly evident here in the Song Productions playlist** and in the Blues, Jazz & Progressive and Composition collections. Enjoy your listen. Derek, you are missed. Rest in peace with your friends in Musical Heaven. ** If you’re using Android and the playlists aren’t working, please try an updated or alternate Android browser.